In few words edison is a train following lines and he enters a tunel. Can i switch on the lights? This project was designed to be programmed in EdWare. It might still be possible in EdBlocks but it will be more complicated. Nice and challenging project to try in my class with the older kids! Thanks for sharing! I'm a newbie with Robotics and Meet Edison and I'm eager to learn all that I can. 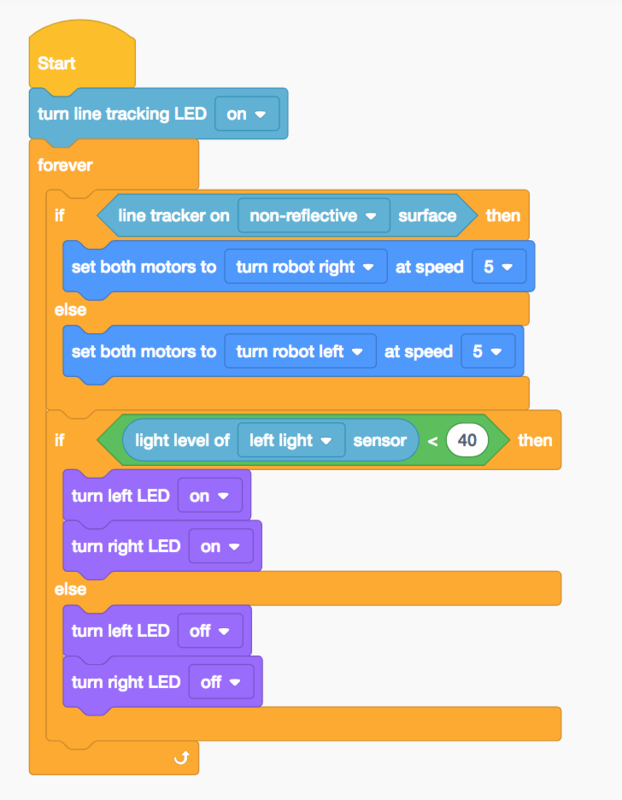 So far I've sorted the light sensing ON/OFF loop and I'm still working on combining it with the line tracking. Is there a way I can share the code here in the forum? Hi! I'm struggling with the SENSE LIGHT block and the loop. Can anyone help me?